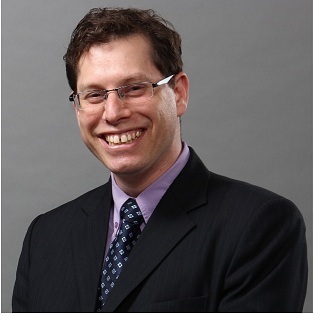 Amit Ben-Yehoshua, First Israeli Lawyer Appointed to the China International Economic and Trade Arbitration Commission. Amit has been appointed as an arbitrator in the China International Economic and Trade Arbitration Commission (CIETAC) which is the earliest and the biggest arbitration institution in China, resolving commercial and trade disputes by means of arbitration. He becomes the first Israeli appointed to this position. Throughout the past fifty years, the CIETAC has made prominent contributions to the legislation of the Chinese Arbitration Law and the development of the arbitration practice in China. The CIETAC has maintained positive relations and cooperation with all the major arbitration institutions across the world and gained the reputation in China and abroad as an independent, impartial and efficient arbitration institution. Most disputes related to international business are resolved by arbitration. Since the “New York Convention” entered into force in June 1959 applies to the recognition and enforcement of foreign arbitral awards and the referral by a court to arbitration, 149 countries signed the New York Convention nationwide. Amit thanks to his experience and his knowledge in Chinese Law is the first Israeli lawyer to be appointed to this position. Amit is a dual citizen of the United States and Israel and has over sixteen years of legal experience. Amit is licensed to practice law in California and Israel, and holds a Master of Law degree in Chinese Law from Tsinghua University of Beijing. He has been living in China since 2006 and has been working at two of China’s most elite law firms Da Cheng Law Offices and Zhong Lun. Amit is also the Vice Chairman of the China Law Committee ofthe International Law Section of the American Bar Association and is the Chief Editor of the China Law Committee’s publication the China Law E-Bulletin. Amit has had the unique opportunity to work as lawyer and as a Senior Counsel in three distinct jurisdictions (California, China and Israel) as a transactional lawyer and as an experienced litigator. This nomination is the proof of the sustainability of the relation Sino-Israeli and the willingness of China to open itself to diversity.